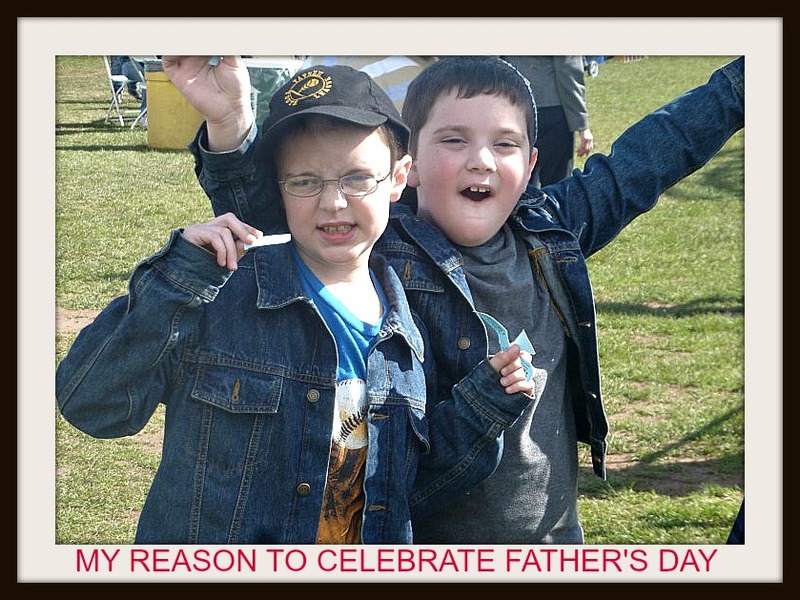 BR& SJ – my reason to celebrate Father’s Day. Father’s Day is coming, and I am looking forward to it. That was not always the case. In fact, I ignored Father’s Day for over six years. My father died in 1997. He had been going back and forth to doctors for a few months. They couldn’t figure out what was wrong with him, so he continued to work. That’s what he knew, and that was his way. He was readying to go work on a Saturday. He had some things he wanted to take care of at the office. He probably would have ended up doing more puttering than anything else. Anyway, he received a call instructing him to go to the hospital. So, he did. Our family still was not informed of the seriousness of his condition. On Tuesday afternoon, the day after his 65th birthday, I received a phone call. Things had become bleak. I rushed in to Philadelphia from New York. I didn’t get to see my father till it was too late. That still upsets me to this day. I think it always will. I distinctly remember this conversation. My wife and I were strolling through Riverside Park in Manhattan. It was a cool Fall afternoon. My wife’s baby bump was coming through (she was due in April). It was not the first conversation we had had about children. However, it was different. The world did not move at our pace, and some of what we wanted was not going to come to pass. Our joy knew limits. I have read many posts about parents gearing for the new school year. There have been posts about school supplies (I have learned how moms get crazy about these, including Mrs. MMK), teachers, classmates, bus routes, etc. Most of the posts have been a bit sad as people have noted their joy for the ease of summer and are concerned with the grind of a school year. However, there is a resignation and appreciation for school as well. And it’s not just because parents don’t have to figure out another way to entertain their children. Anyway, the posts that have most struck me are those from moms whose children are starting kindergarten. They have unanimously focused on tears. The tears shed are by the parents. As I read these articles, I felt sorry for these parents. Why are they getting so sentimental and weepy? You see, my younger son is starting kindergarten this week. I can guarantee you that this parent won’t shed tears. Why should I shed tears? SJ is ready for kindergarten. I’m sure there will be some issues with transition. However, that will occur because he has to find his comfort level. Yet, I have seen his skills grow, and I am convinced he will revel in gaining new knowledge. He will enjoy being part of a bigger class (especially if there are more boys than in his previous pre-k classes). So, why should I be weepy? I’m not weepy. But, I am sentimental. With both our children now in the education system, it’s as if we are not a young family. There are no little kids at home. My children are getting older. I don’t miss late nights, feedings, burpings, etc. However, children keep us young. I’m getting older too. A little while after SJ was born my wife starting dropping hints that she might be interested in having a third child. I wasn’t interested. I don’t remember the specific reasons – they were the typical justifications. She was not adamant, and the moment passed. Later, I was the one dropping hints. She wasn’t interested, and I was not adamant. As an older couple, we did not have time to dally. The time passed and two children are what we are blessed to have. So, as SJ heads off to kindergarten, I am proud of him. And a little sad. I am confident that it will be a great experience for him. I look forward to seeing him learn and grow. However, I can’t help but feeling some sense of nostalgia in recognizing that my youngest child is moving on, leaving no little ones behind him.